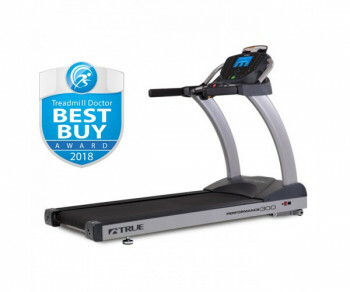 TRUE TREADMILL PS 300 - Pacific Fitness, Inc. The PS300 treadmill is manufactured with commercial-grade materials and the finest components for extreme durability. Coupled with a great warranty and service plan, you know that your treadmill will stand up to years of heavy use. Same as the PS 100 with an Ortho Belt. Key Mechanical Features: Incline Range - 0%-15%, Contact (Digital)and Wireless Heart Rate Monitoring, Orthopedic belt, 3 HP motor.